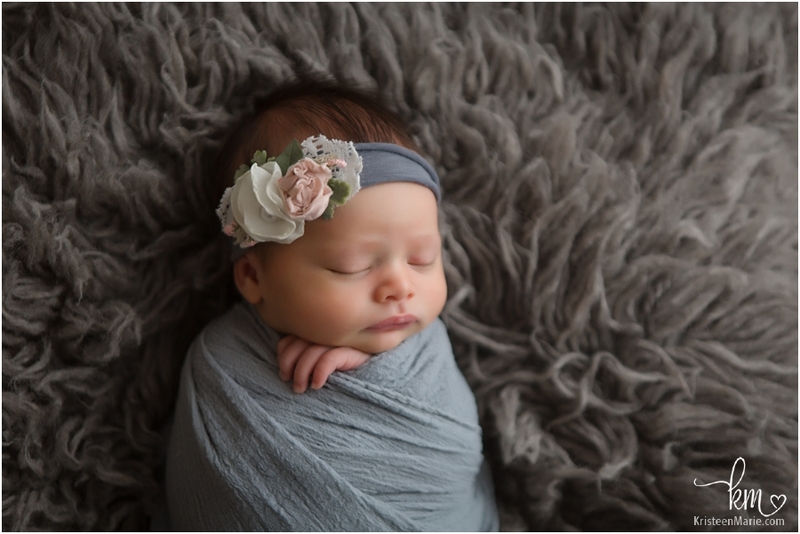 Little newborn baby Alison Rose, aka, Ali, made her arrival almost a week late! She was well worth the wait though. Ali took a little while to fall asleep, but we will got lots of wrapped awake shots. 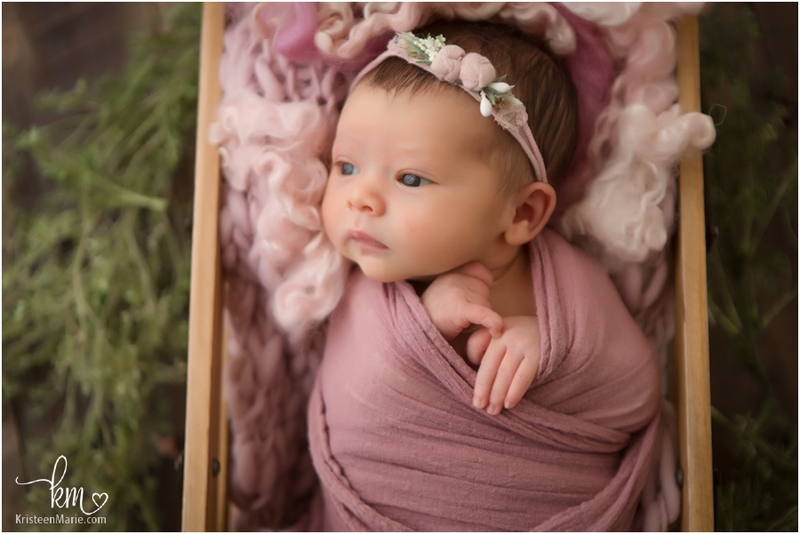 This was great because her mom really loves photos of babies all wrapped up and cozy! 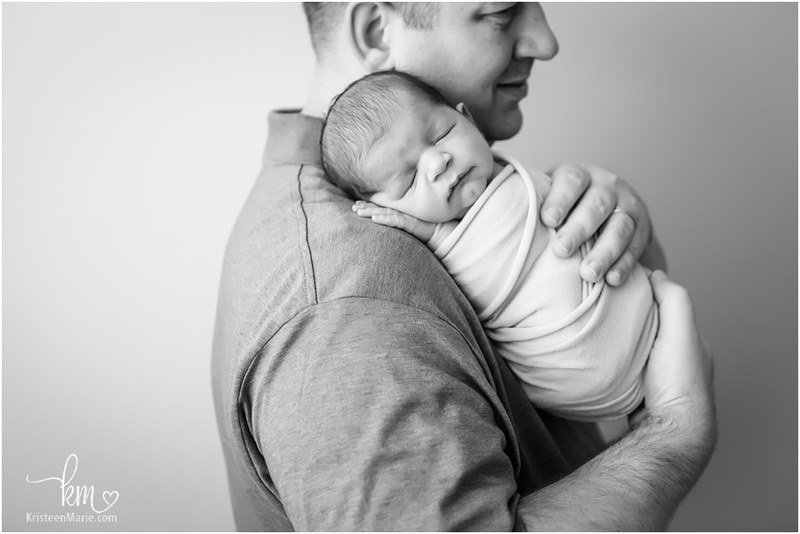 One of my favorite photos is of Ali in her dad’s hands. 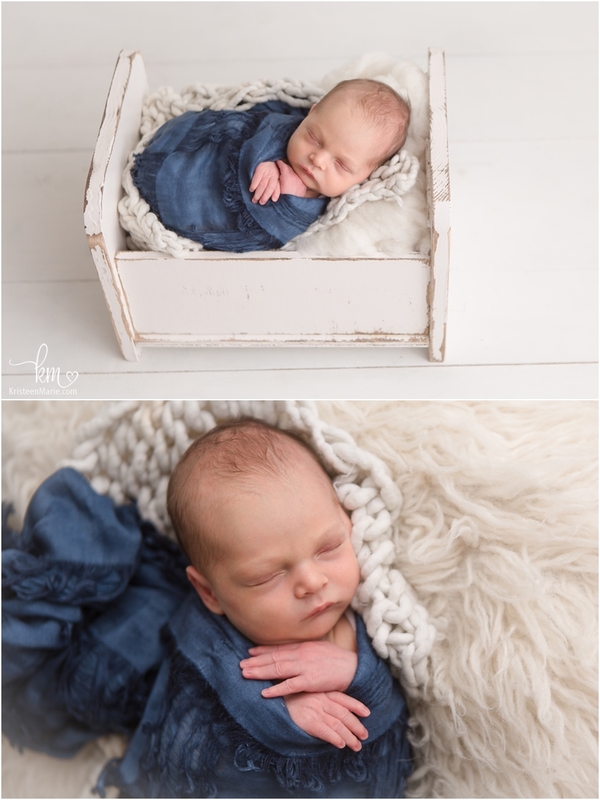 She is a little peanut at just about 5 pounds, and she just looks very cute in every photo! Awake and asleep, you are so beautiful! I would love to know what you are thinking about when you are looking at the world around you! 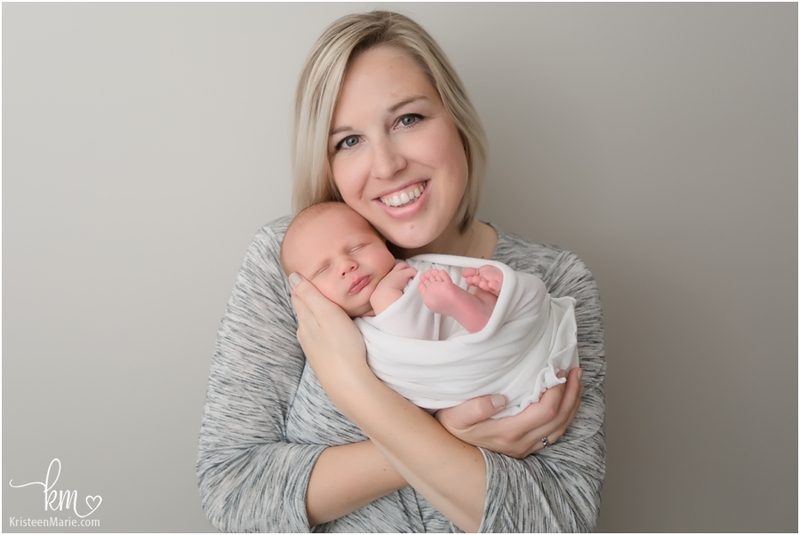 If you would like these precious moments captured with your new little one, I would love to chat with you more about being your newborn photographer in Indianapolis. Send me a message and we can talk more about what sort of memories you would like me to help you capture! 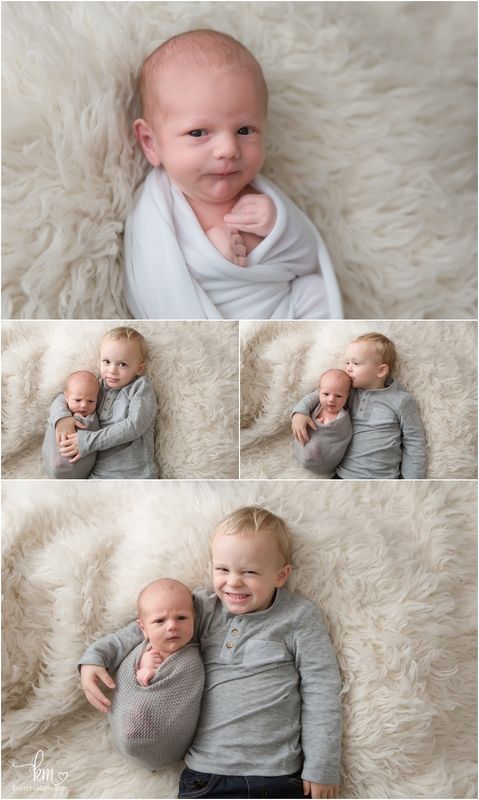 These two little boys were such fun having in the studio and the love that they share is just adorable. 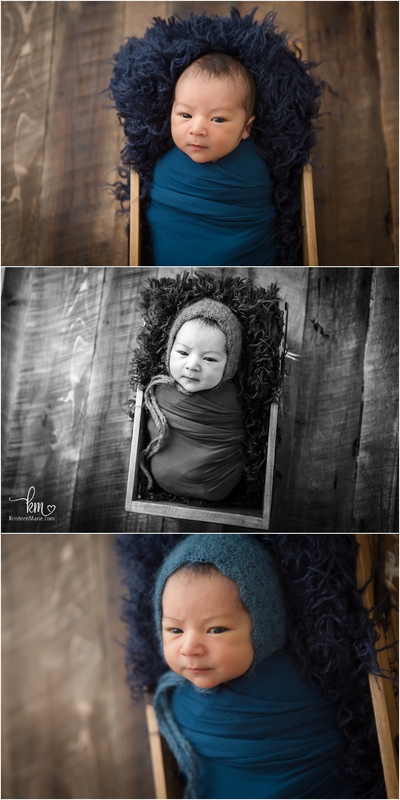 Baby brother, Shunn, fought sleep in the beginning of the session, but it did not matter because he was content being awake with his big and very loving brother, Koh. Koh was super good with the new baby and you can tell by the sparkle in his eyes that he is just so excited to have a little baby brother to love on. 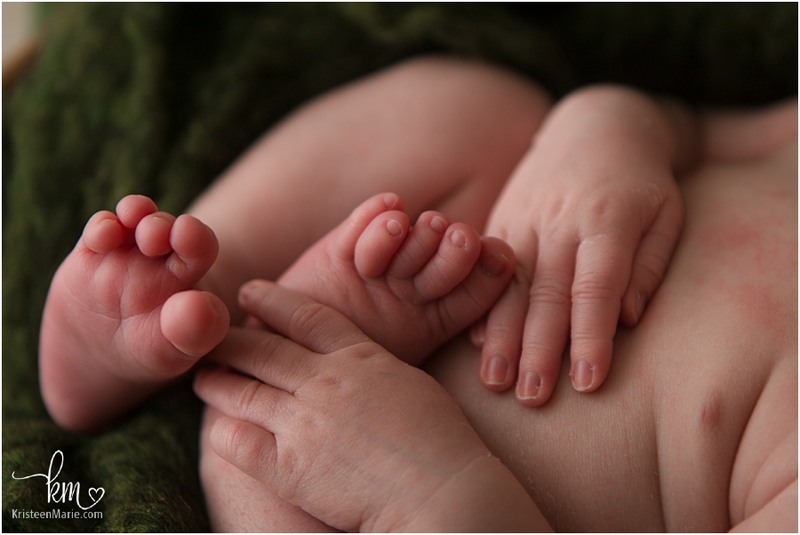 It was so nice to meet you little man, and your big brother, and family too! 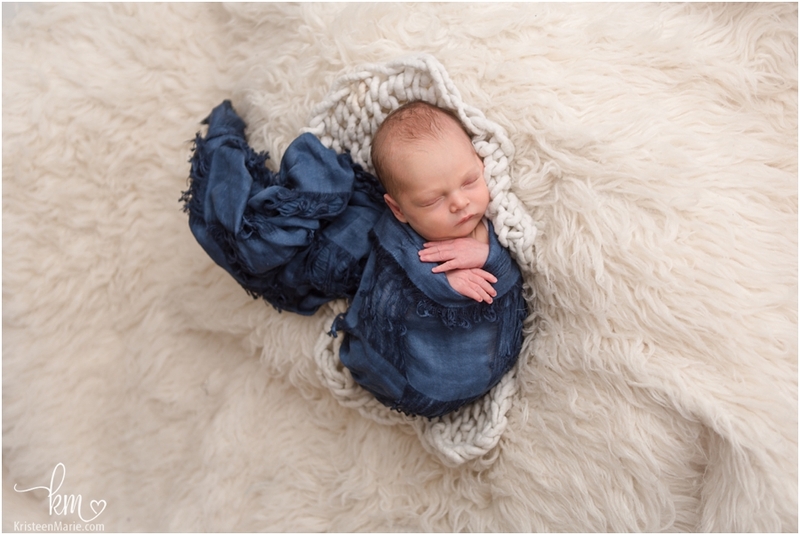 If you are in need of a newborn photographer in Carmel, IN, you have come to the right place. Send me a message to get your due date on my calendar. 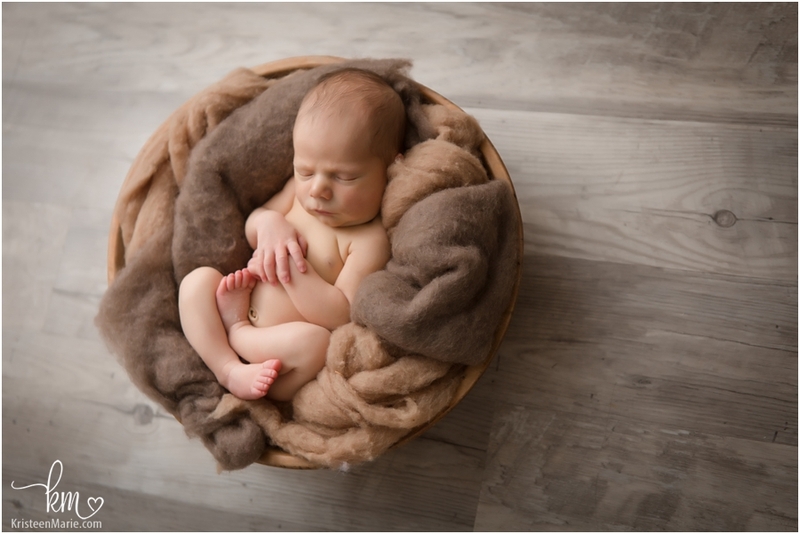 I do offer a variety of different packages and options for newborn photography. 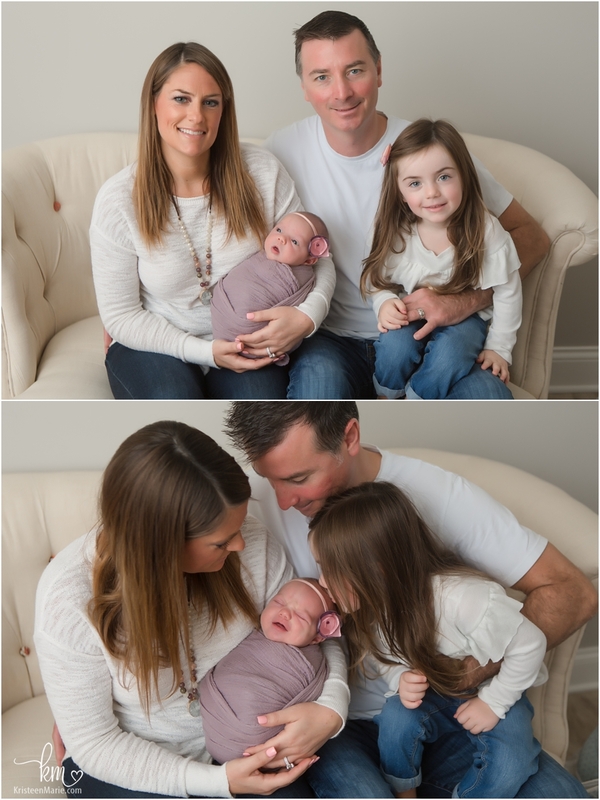 Baby Corrado has entered the world and he sure is a bundle of joy! 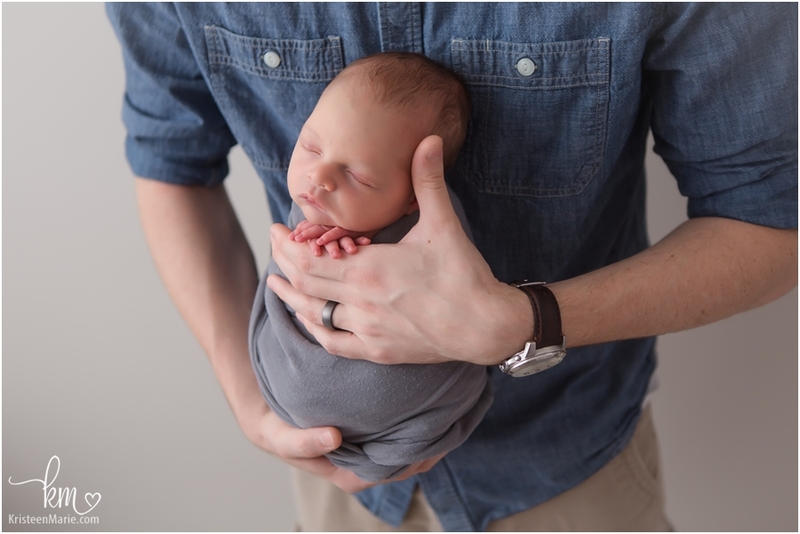 Weighing in at 7 pounds, 10 ounces, he is the perfect little boy for his parents. 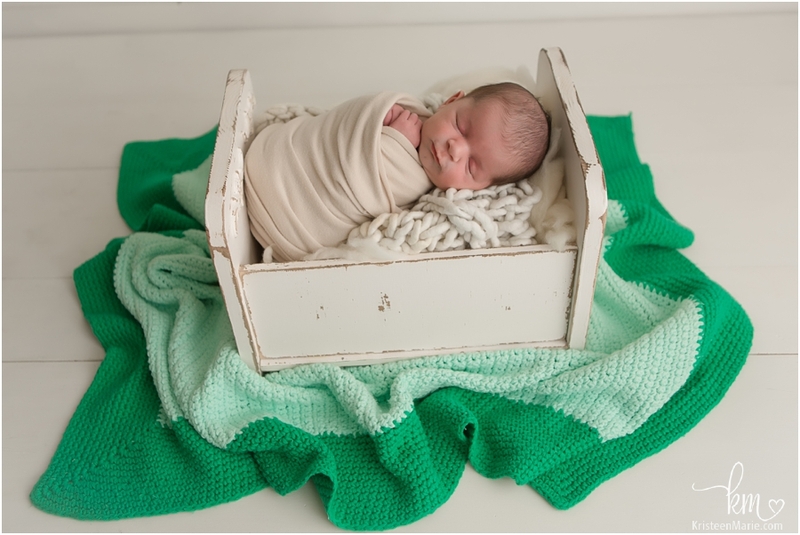 He looks stunning in every color that we photographed him in, and the teal blanket that you see around him below, was made by baby’s grandma. 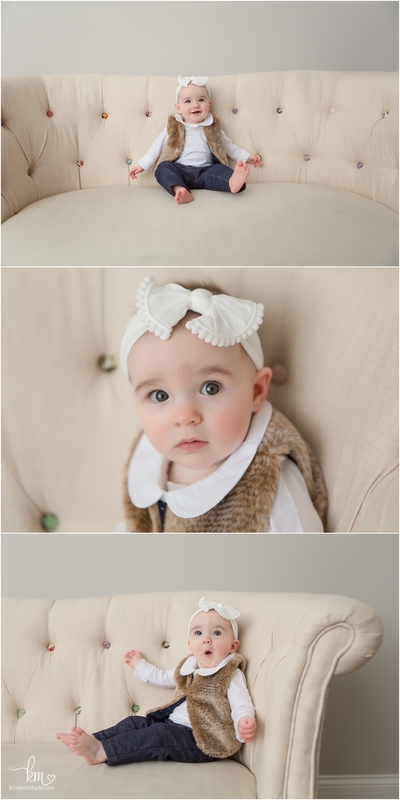 I just love all of the neutral tones from this session! Nice to meet you little man! So glad that you finally made your entrance- and on your due date, too! 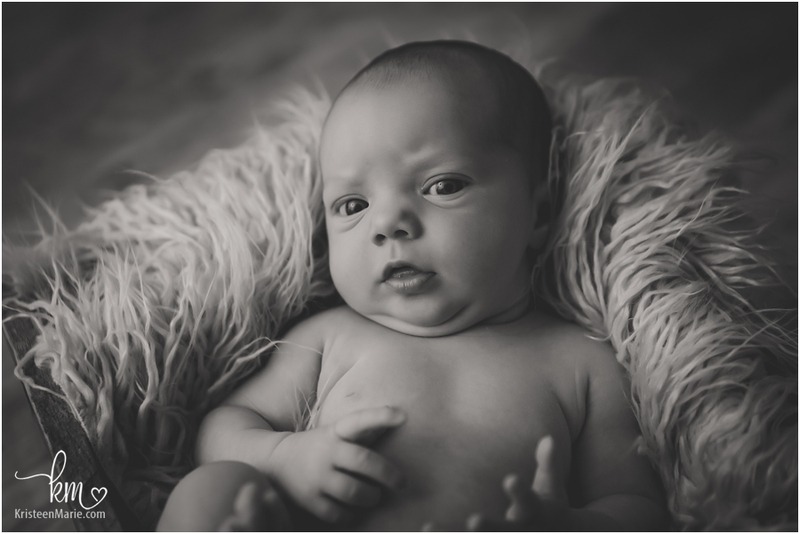 If you are expecting your little bundle of joy, I would love to be your Indianapolis newborn photographer. Send me a message and let’s plan on getting your due date on my calendar as well. 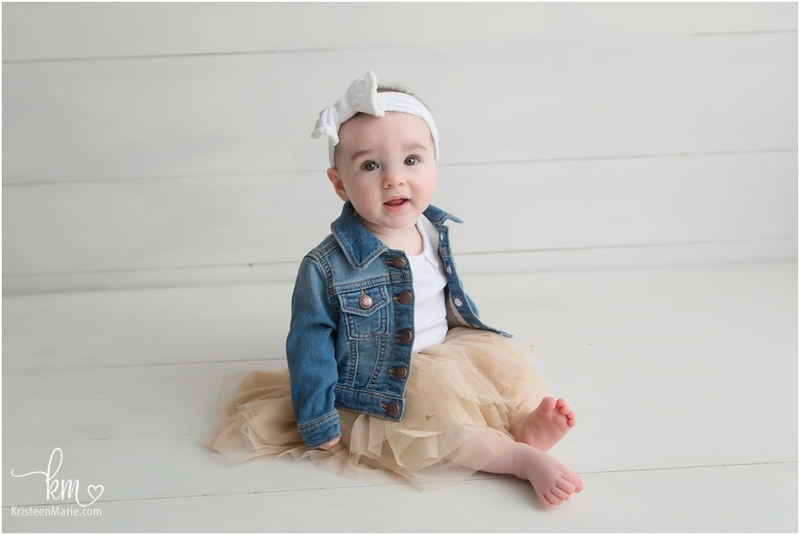 Little Berkeley is growing up! 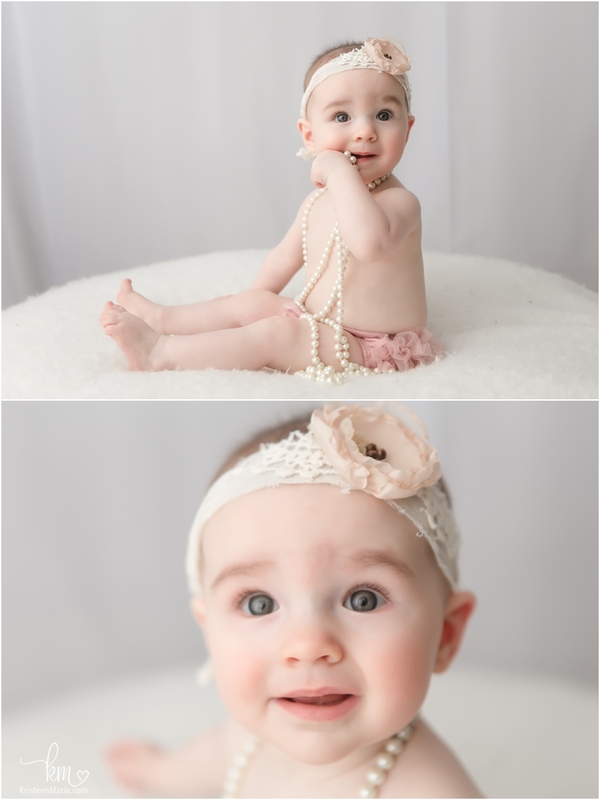 I’ve been photographing this girl since birth. 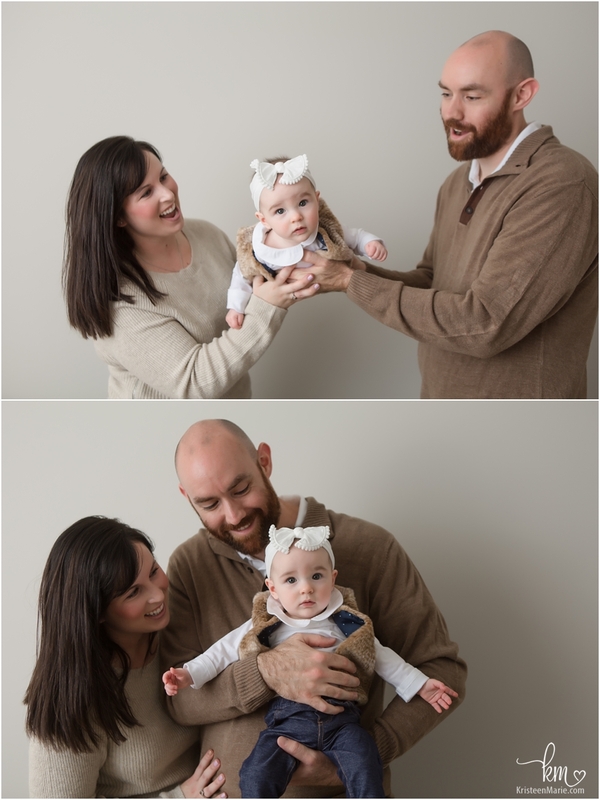 For this shoot, she made us work for those smiles but everyone had a good laugh in the process. 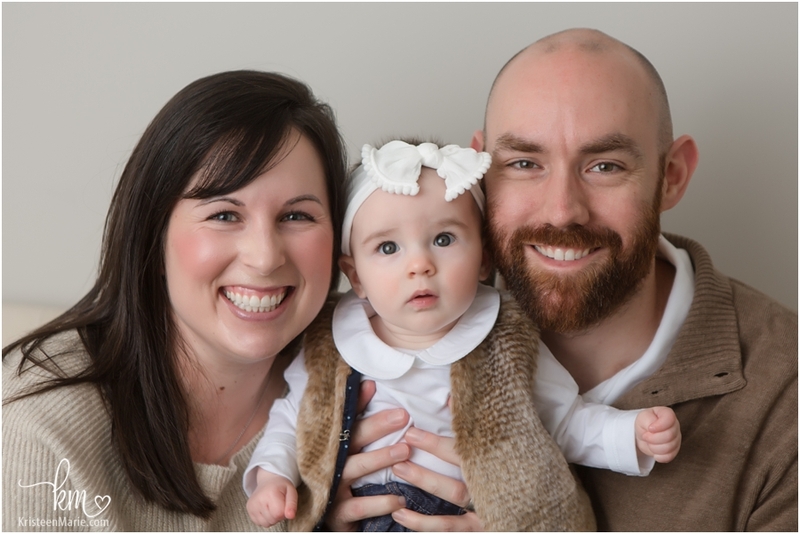 I’m pretty sure mom and I both got a good workout making it all happen- but the photos turned out fantastic, so it was well worth it! 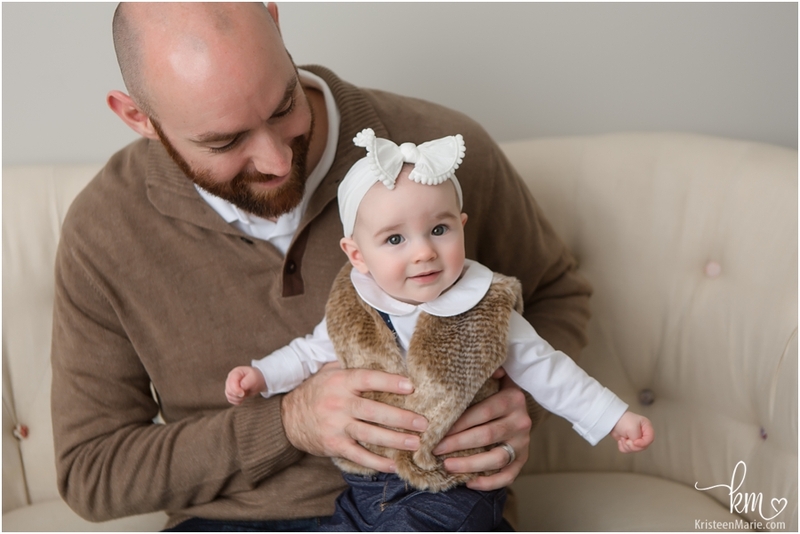 I look forward to continuing to watch you grow sweet little lady! 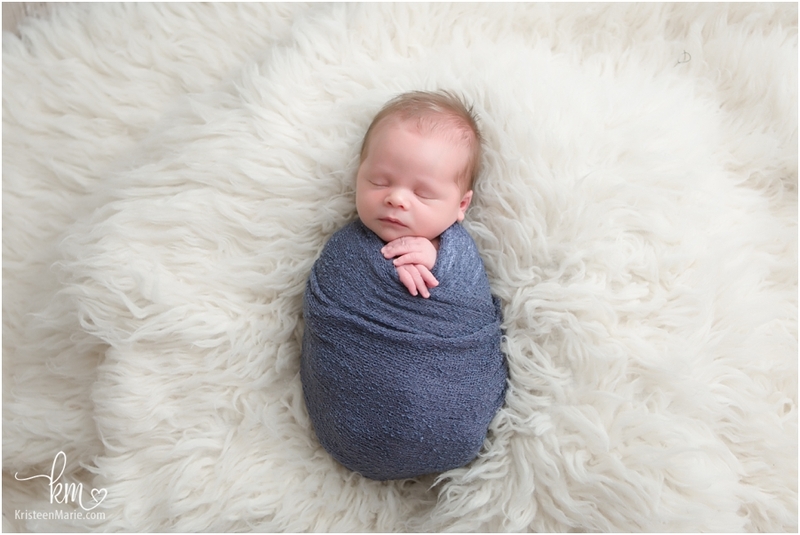 Did you know that I offer newborn photography in Indianapolis, grow with me packages, and milestone sessions? 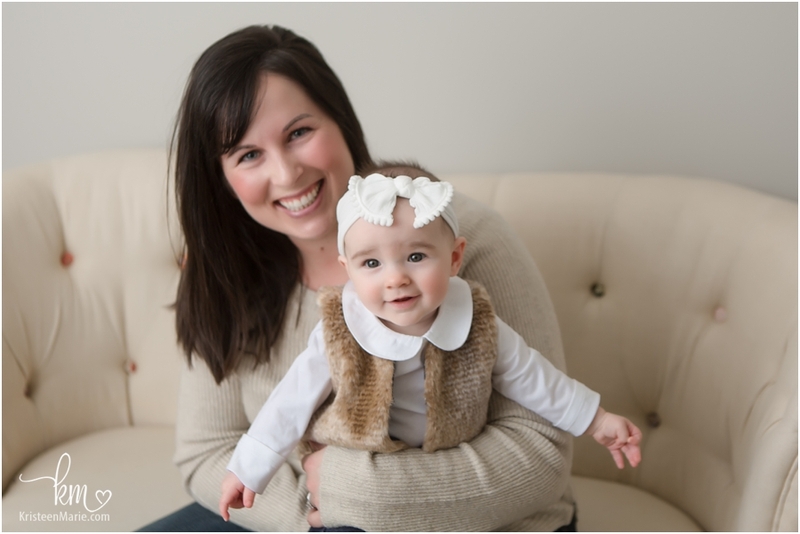 I would love to have you and your little one in my studio sometime soon! 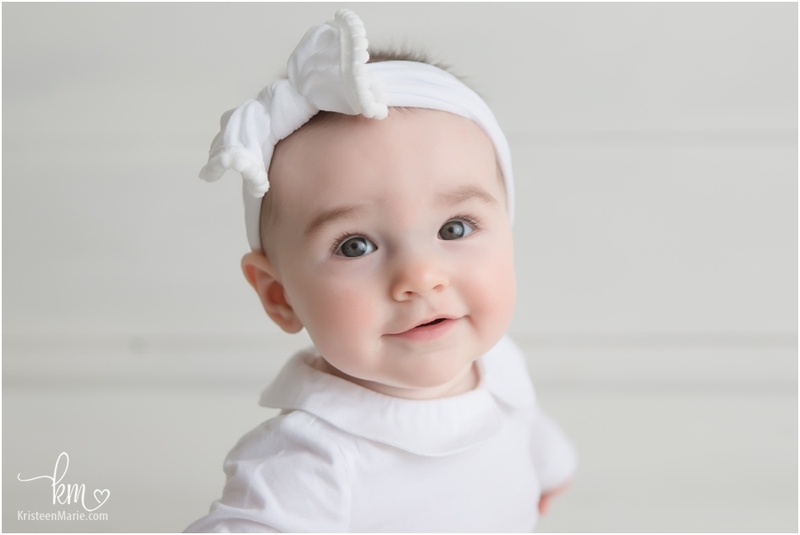 This beautiful baby is so adorable now and I just know that she will be gorgeous when she grows up. 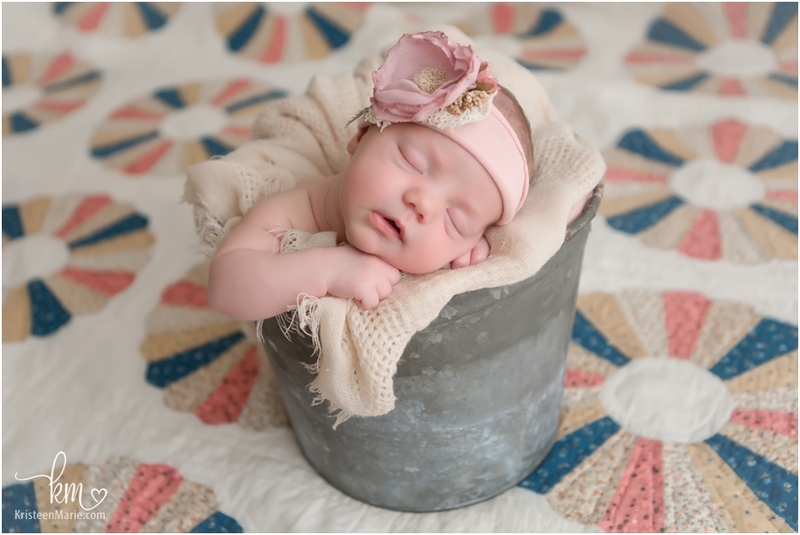 The big sister in this session is just stunning- and it was great seeing her grow up now because it was not too long ago that I photographed her as a newborn as well. The picture with the quilt includes a family heirloom quilt – I also took big sister’s picture on the same quilt! 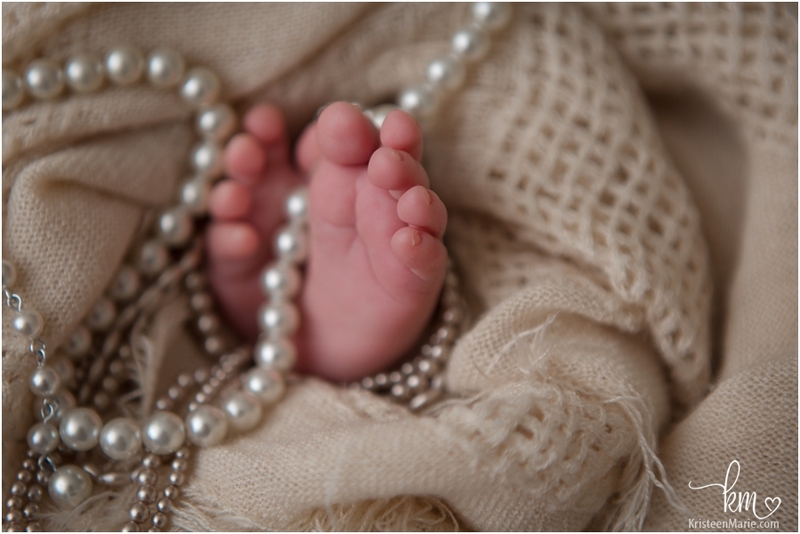 The jewelry in the last picture with the feet is also a heirloom as well. 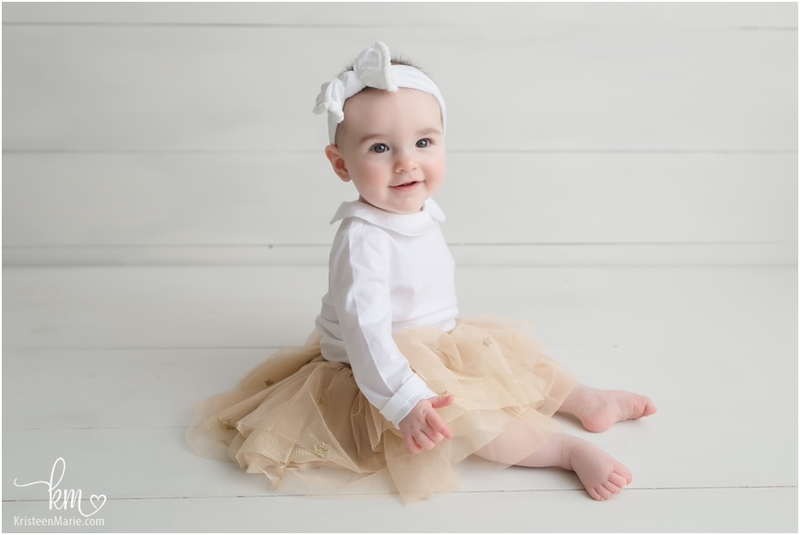 So many special items for this beautiful baby girl! 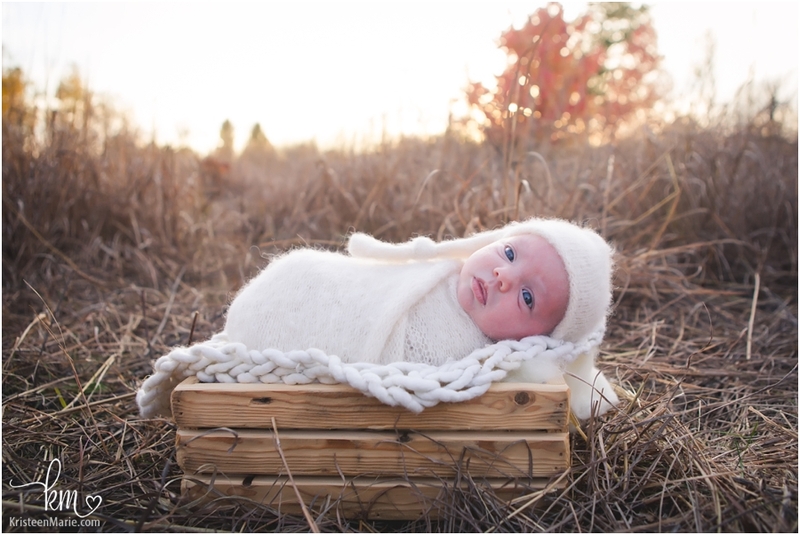 These guys also did an outdoor newborn session add-on. 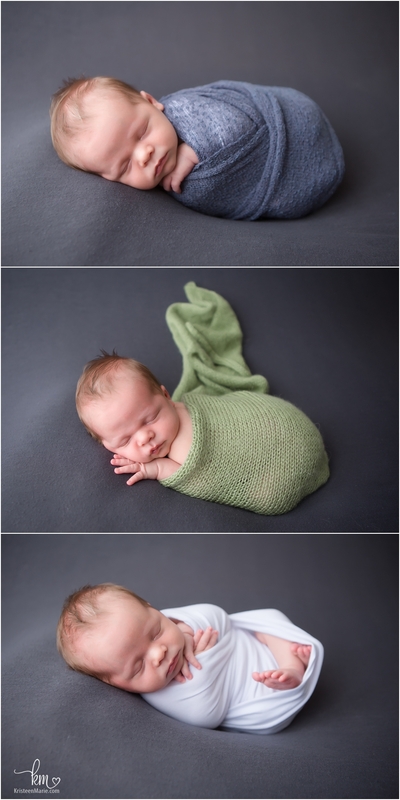 I don’t typically do outdoor newborn pictures so late in the year, but for these guys I made an exception so that they could include all the siblings. Those pictures are at the bottom of the post. 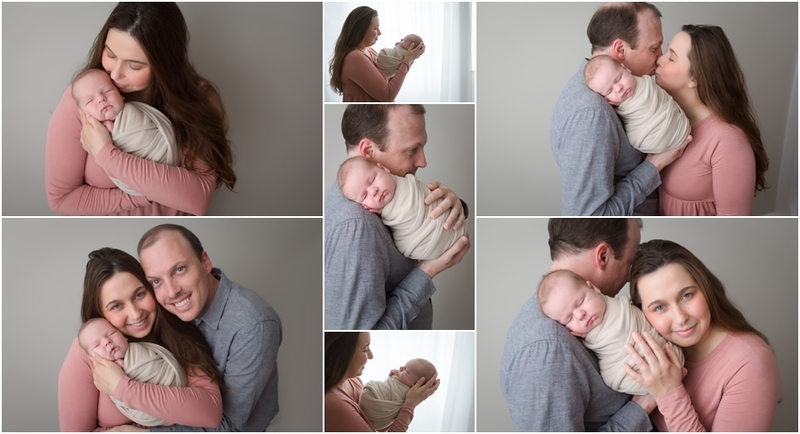 By the time the outdoor session happened (that’s a lot of schedules to line up) baby was already a month old so we didn’t get any sleepy baby pictures, but I think they are adorable and so meaningful regardless! 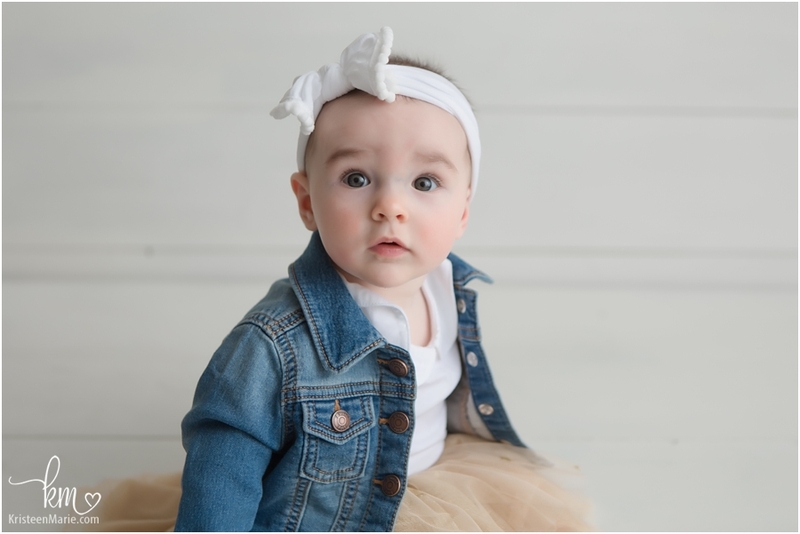 You are such a gem, baby girl! 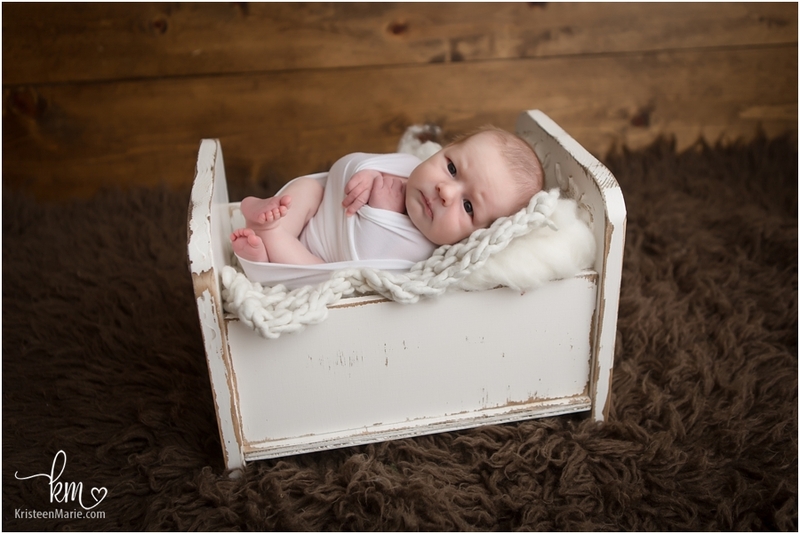 If you want to have pictures taken of your new little treasure, Indianapolis newborn photography is the best option! I offer single sessions as well as grow with my sessions. Be sure to reach out if you have any questions! 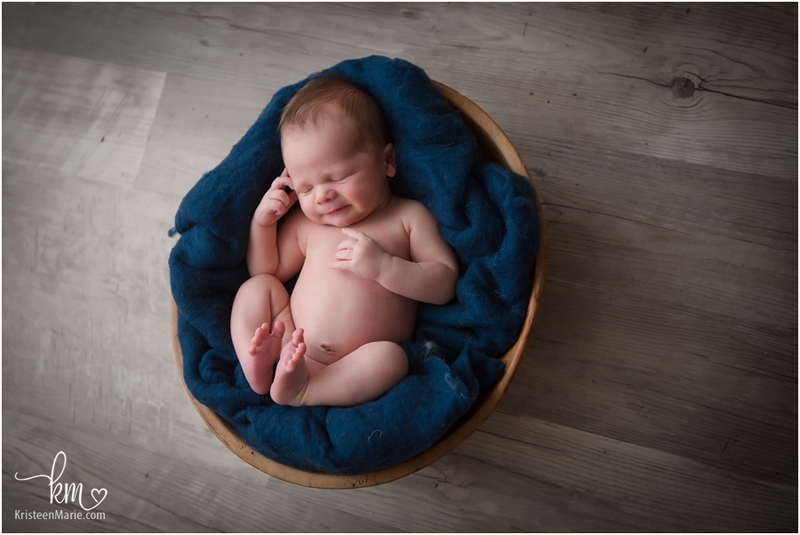 The little guy fought sleep in the beginning of the session but luckily I had more patience then he did. 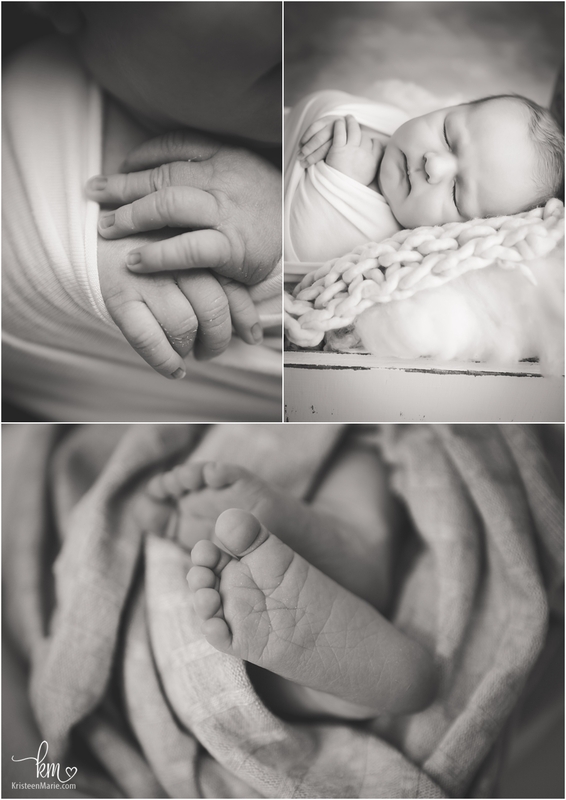 Eventually he slept and we were able to get some pretty great photos. Big brother did awesome as well! 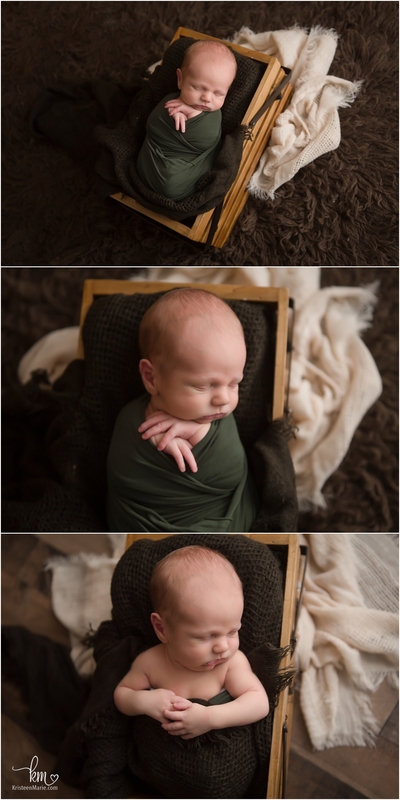 Mommy did want some pictures with Oliver being awake, and we were definitely able to capture those as well! 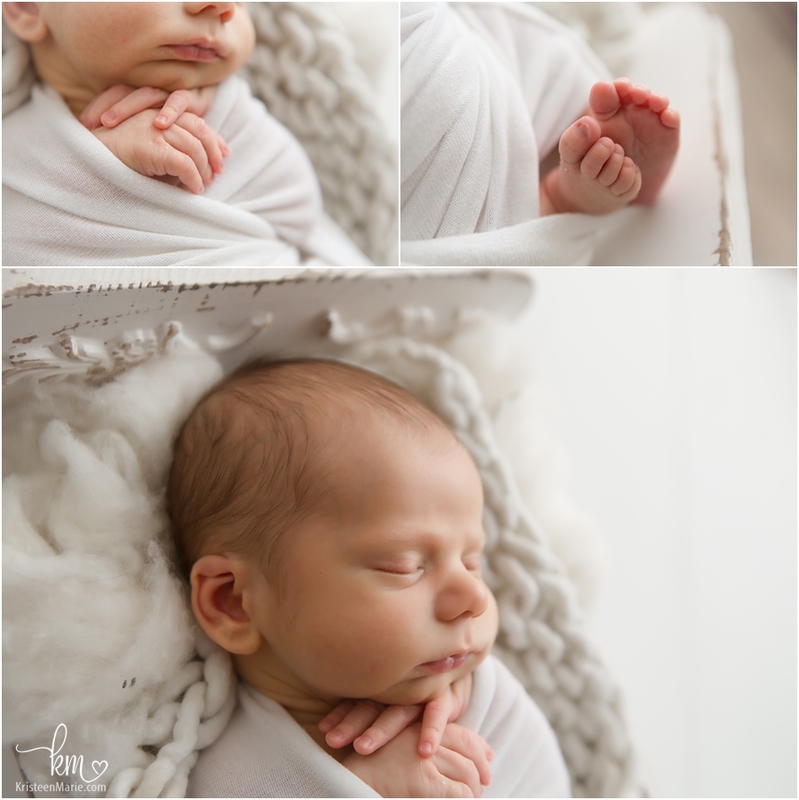 This sweet little boy was such a little peanut for his session. You are just so sweet, little Oliver. Thanks for visiting me in the studio! 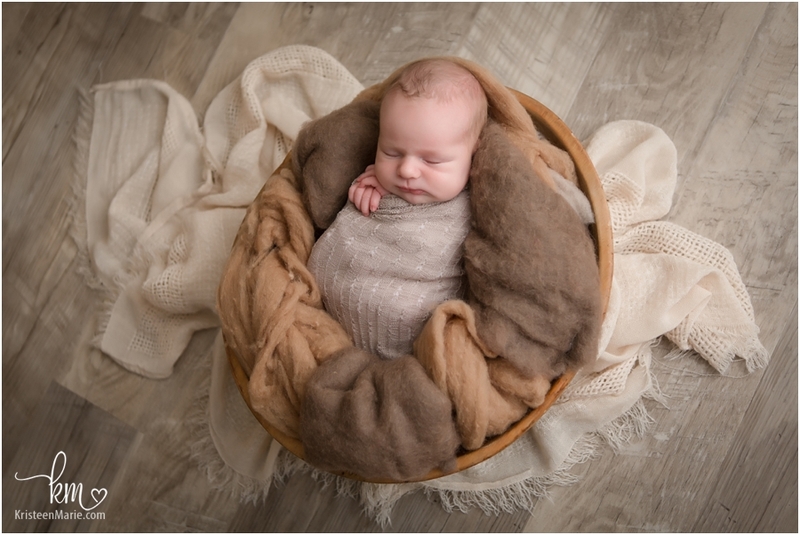 If you are looking for Indianapolis newborn photography, be sure to reach out so that I can get your due date on my calendar! 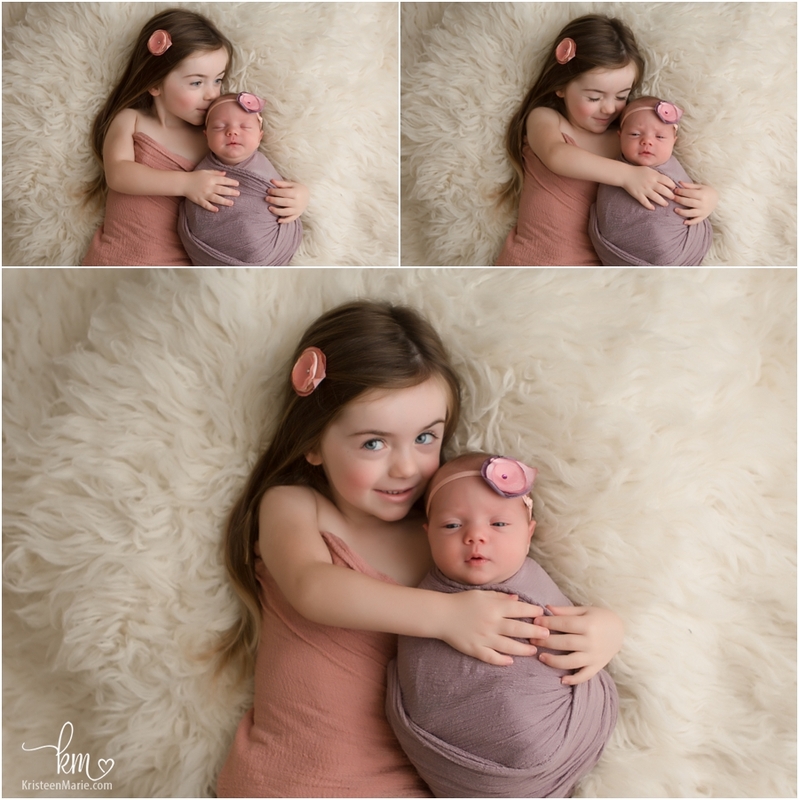 I’ve been photographing big sisters for a few years now, so it was exciting to see a new little one being added to the family. The sisters did great with their new brother. And little brother, Preston, did great as well. 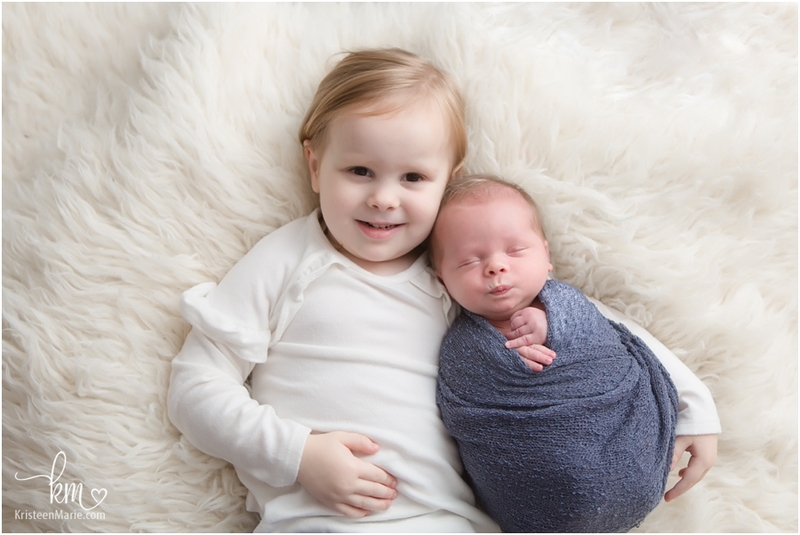 I know how much the big sisters were excited to have him join the family and I know that as Preston grows up, he will be just as excited to have those big sisters as well! 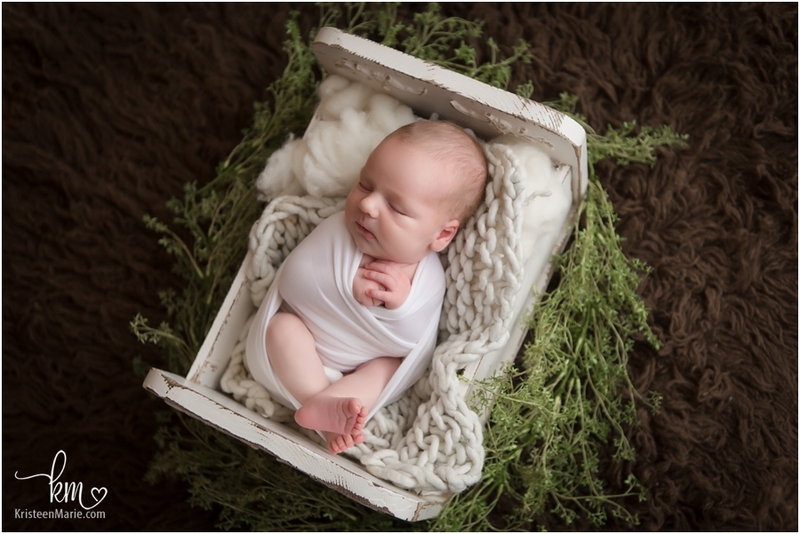 You will just adore, baby Theodore! 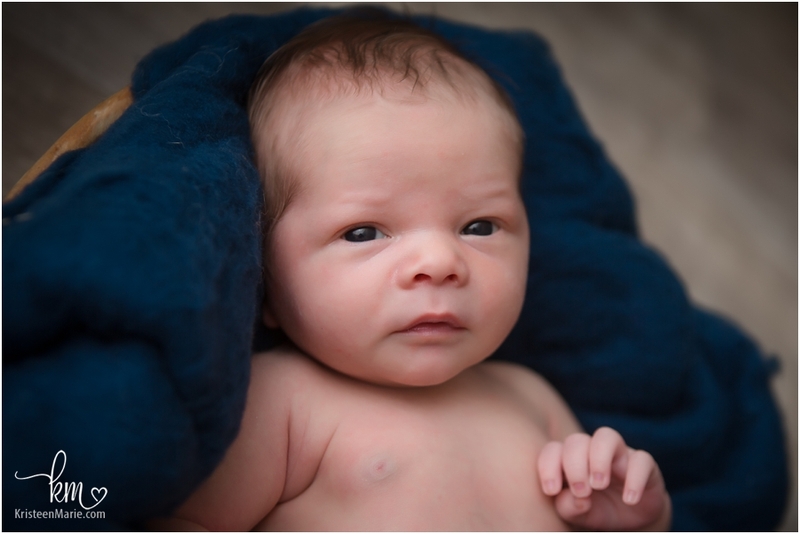 This sweet little 7 pounds 3 Ounce bundle of joy arrived a few days before his due date, but he is perfect as can be! 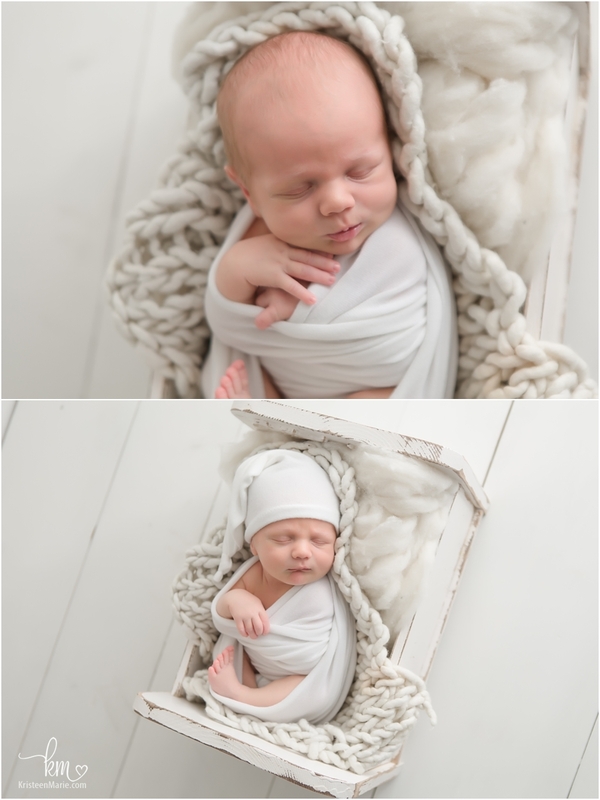 He was a great sleeper in the studio and I just love how snuggled up he is in these photos. 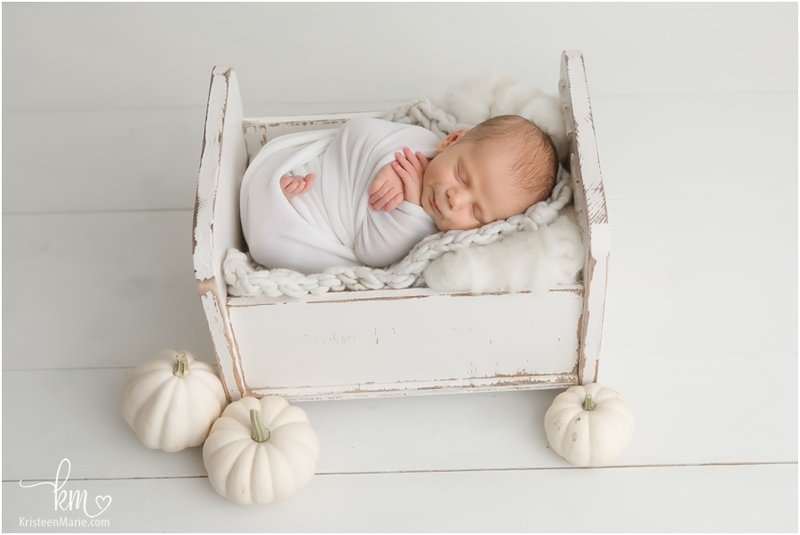 His sweet little nursery is airplane themed, and I just know that this little fella will soar through life and be the apple of his parents eyes! 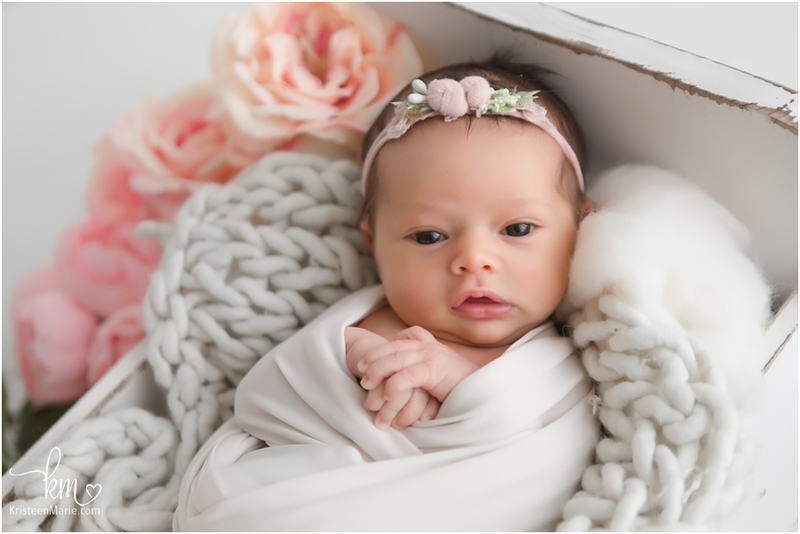 If you want to commemorate the welcoming of your new baby by having a photography session, I would love to help you out with that. 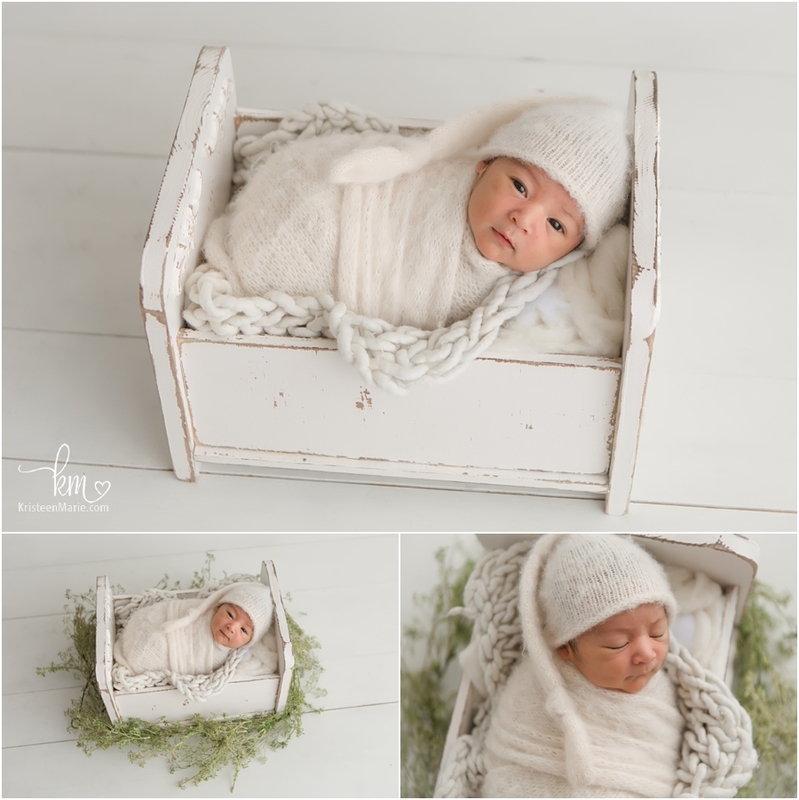 I offer many different packages for Indianapolis newborn photography! 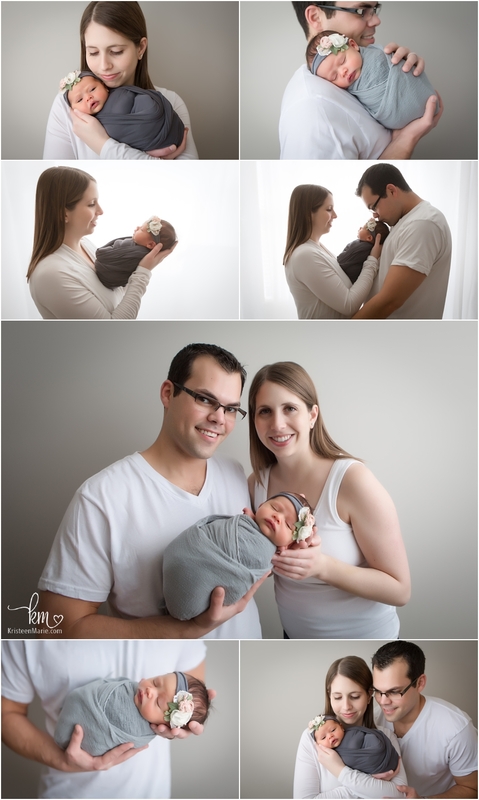 I was so happy to see this family, with the addition of their baby boy, in the studio. 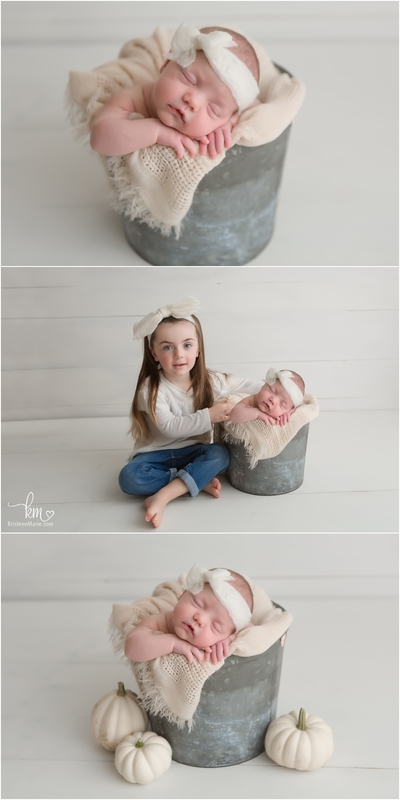 I also photographed his big sister. 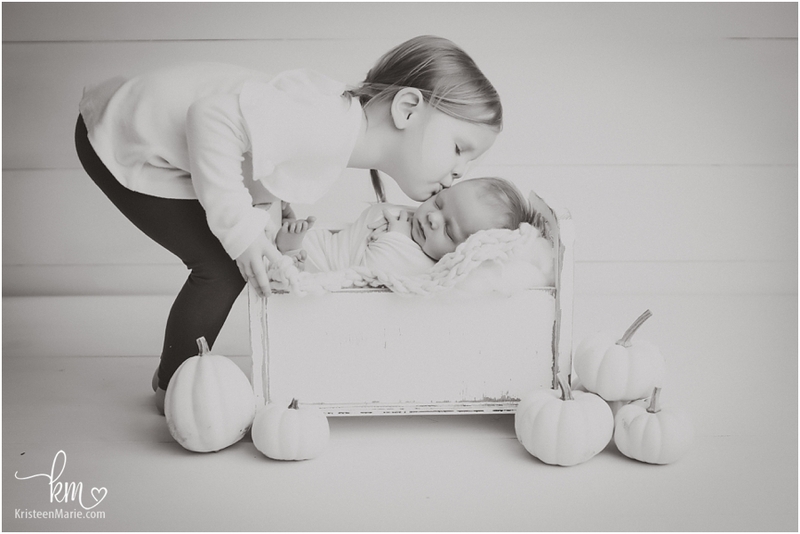 I just adore the black and white image of sister kissing brother in the basket- it will make for some great reminders as this little one grows up and the relationship between sister and brother comes to a head. 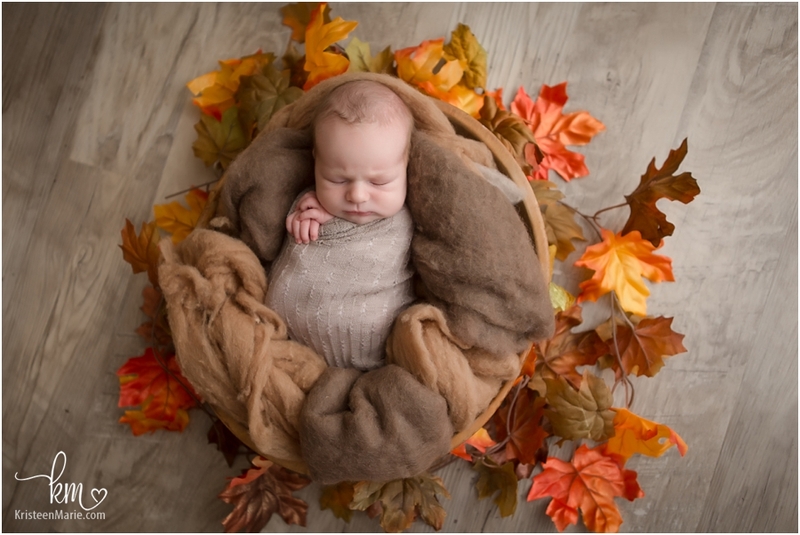 We also got some fall inspiration in these photos from this fall born baby boy! 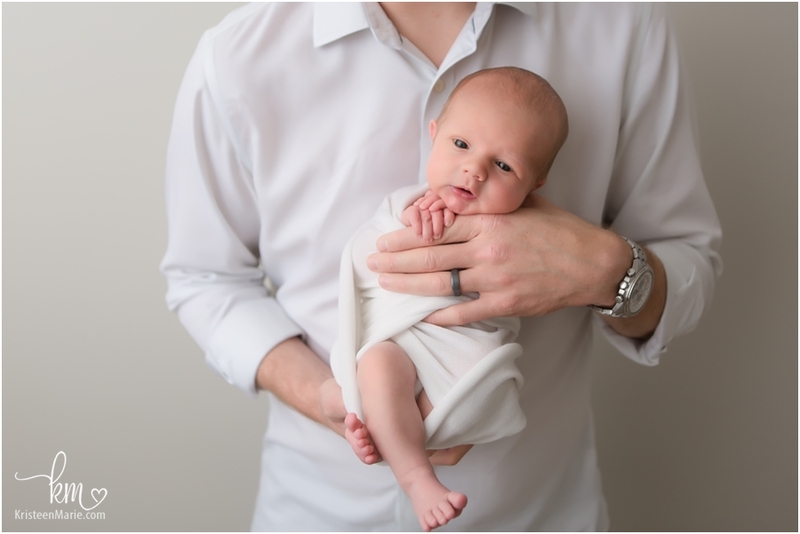 Enjoy life as a family of four with your new handsome little man! 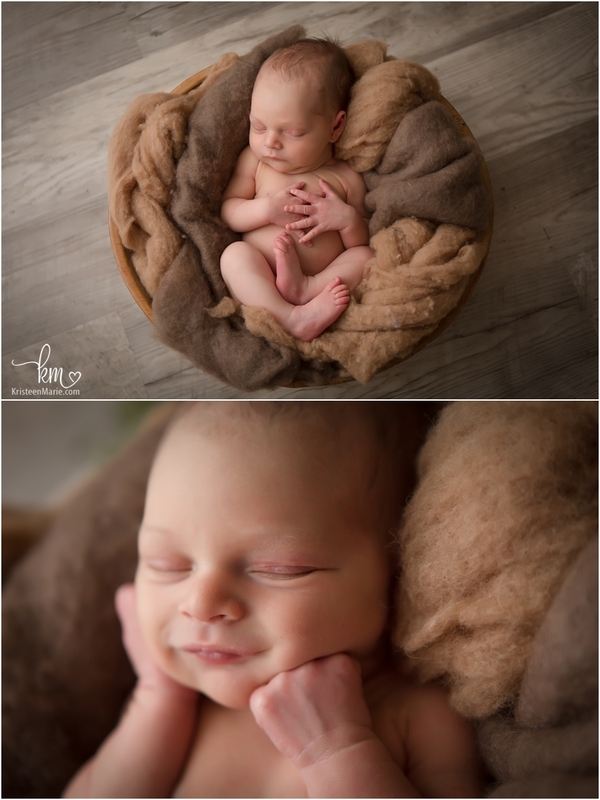 This newborn little boy was just as sweet as can be when he came to visit me in the studio. 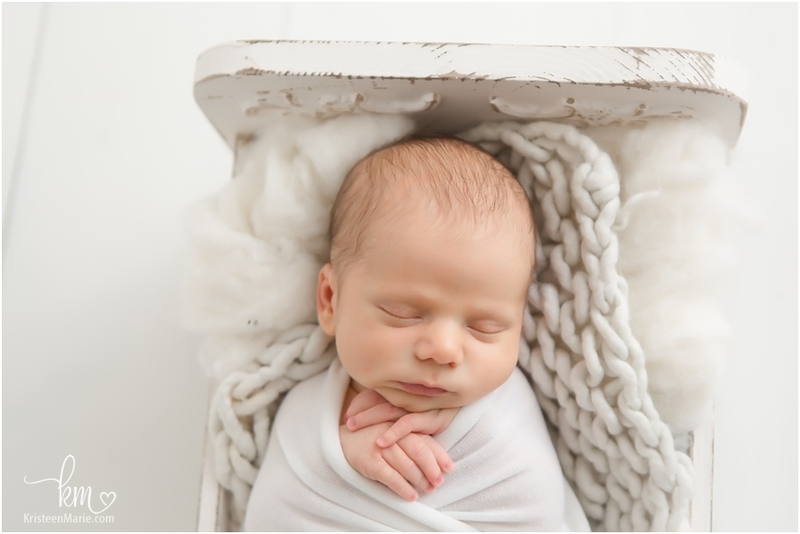 He had great eye contact during his session and we were able to get lots of themed images – which his parents requested. 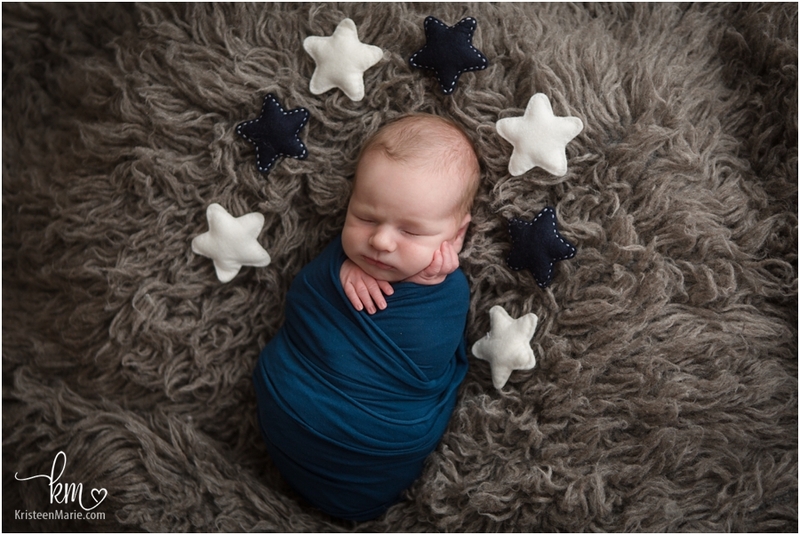 We got some Fall, Christmas, and Stars (to make baby boy’s nursery). 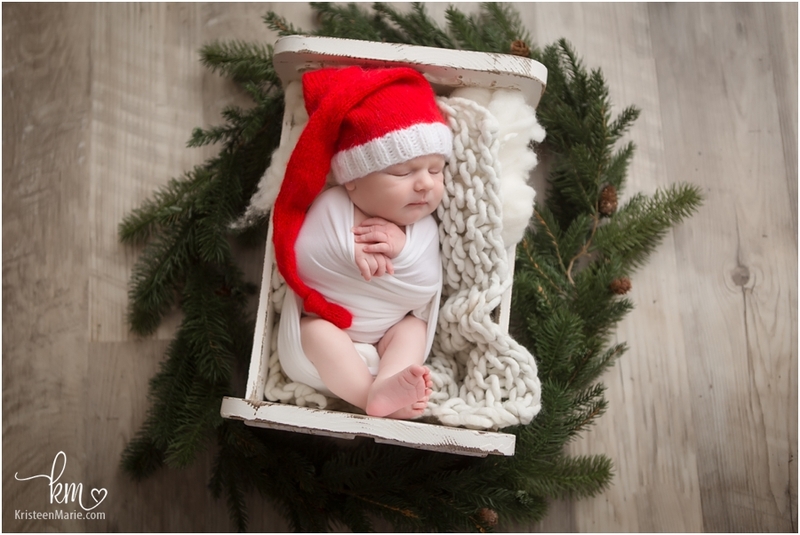 The picture of him in a Santa hat just melts my heart- such a great gift for his parents this year! 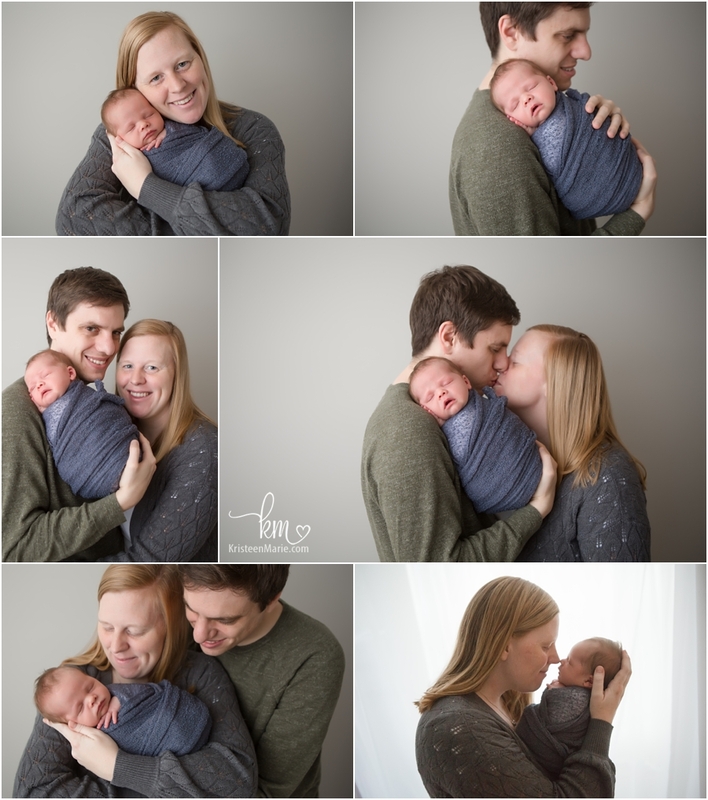 What a fun newborn session with lots of variety! 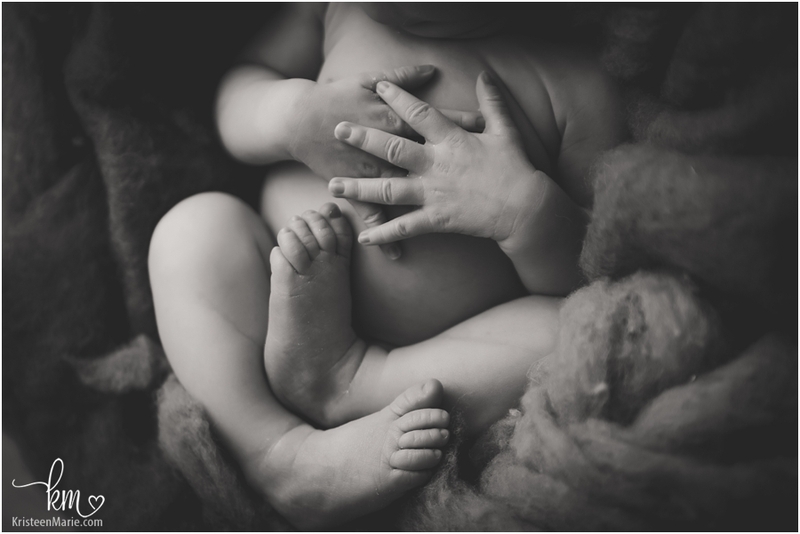 Let me know if you are looking for an Indianapolis newborn photographer! I would love to get your due date on my calendar.